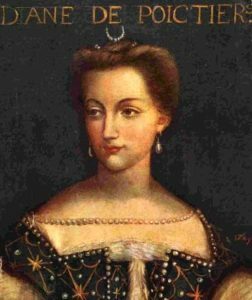 Catherine de’ Medici was feared by the French people because she was Italian, and disliked by them because she had no royal blood. Indeed, her own husband, King Henri, was not all that fond of her. He was in love with his mistress, Diane de Poitiers, who, amazingly, was 20 years older than he was. Talk about cougars! Catherine and Henri (he was the second son of Francis I, so not the heir to the throne) were married in 1533, when they were both 14; he was 15 days older than she was. King Francis had arranged the marriage. Catherine, a political pawn, was quite short of stature and not a great beauty. What was her asset? She was incredibly rich. She was wildly in love with Henri, who shunned her. So completely did Henri avoid his wife that after ten years of marriage, there were no children. 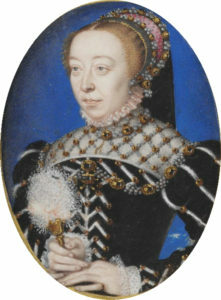 Catherine was getting old (24), but now, she would be the next queen of France, because Henri’s older brother had died. To not be put aside, Catherine desperately needed to give Henri an heir, but someone else needed this even more – Henry’s mistress, Diane. She absolutely did not want Henry to have his marriage to Catherine annulled and him wed a new, younger queen – one whom Henry might actually love. Diane made a bold decision – she visited Catherine and explained to her something about the birds and the bees. It was certainly successful – in less than a year, the first son was born. Catherine bore Henry nine more children in the next 12 years. Three years after the last birth – twin girls who did not survive – Henri, then 49, was killed in a joust at his 14-year-old daughter’s wedding gala. So exactly what did Diane tell Catherine? It was so secret, it has never been discovered. Did Catherine thank Diane? 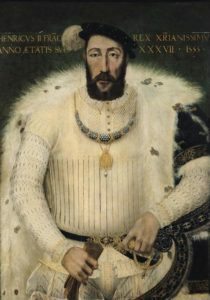 The minute Henri died (Catherine had refused Henri’s desperate, dying requests to see Diane), Catherine demanded the royal jewels from Diane, then ousted Diane from her beloved castle, Chenonceau. 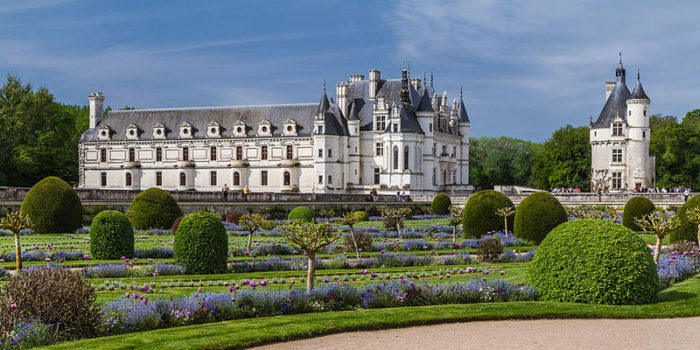 She sent Diane to the fortress-like, land-locked Chateau Chaumont, then remodeled Chenonceau for herself. NOTE: Poison was suspected by many to be the cause of death of both Henri’s older brother, Francis, 18, when he died three days after drinking a cup of ice-cold water, and Henri’s younger brother, Charles (the king’s favorite), who died at 25, soon after saying he was invincible.